When coming to Thailand, visitors will definitely want to have a mobile phone to contact with their friends or family. 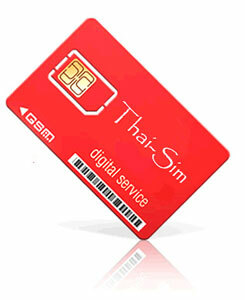 The following is the information of mobile phone and SIM card options provided in Thailand. Thailand is using GSM for the standard of digital cellular communication, so visitors who own GSM mobile phone can use their phone in Thailand. In addition to GSM standard, mobile phones can be used almost areas in Thailand because telecommunication infrastructure in Thailand has been constantly improving. However, there is still a lack of telecommunication signal if visitors are in absolutely countryside, especially when not using AIS (one of the biggest telecom service providers). But don’t worry about this if visitors plan not to stay in super rural area. This means that you will have no problem with mobile signal in Pattaya except your own mobile has a problem though. As mentioned about biggest telecom service providers in Thailand, it would be better to introduce them for you to understand overall pros and cons of them. 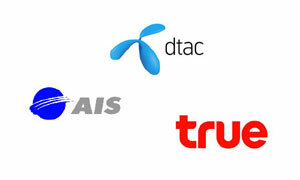 There are three biggest telecom service providers nowadays – AIS, DTAC, True Move. However, keep in mind that because of high competition in this area, sometimes very cheap promotions are lunched from these providers. AIS offers a strongest signal so that visitors using service from this company is still able to use their mobile phone in rural area, but package for usage is a bit more expensive than the 2 other providers. True Move usually offering cheapest mobile service options in Thailand for their customers, when comparing to AIS and DTAC. Unfortunately, in rural areas True Move customer experiences no signal. DTAC is the one that can deliver the middle quality with the middle payment of service options. In some case there is no signal in rural area, but some also not. You, depending on which country you come from, can just call to your telecom service provider for activating international roaming service. Although this option is good for keep touch with your friends without a need of changing your mobile number, the cost of this is a lot higher than normal service for both receiving and giving a call. So this may not a good idea if you want to save your money for your trip. However, what you need to be aware is whether your mobile phone is SIM card locked or not. Providers in developed countries usually deliberately do this because they want to make the phones unable to be used by SIM card from rival company. But don’t worries about that because any mobile shops in Pattaya can fix that with in just a small price (or you could ask your service provider to fix that for you before coming to Thailand). Another option for you is to buy a new mobile, which you can find a mobile shop easily, even in a little town. 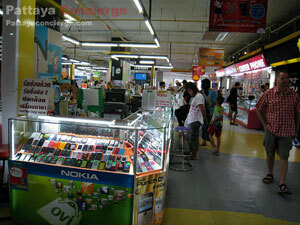 * Note that Tuk Com Pattaya is a major place people look for a mobile phone. 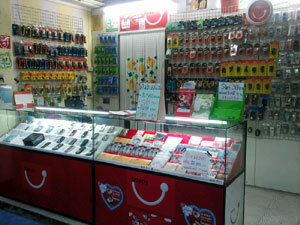 The best place to buy a mobile phone in Pattaya is the Pattaya Tuk Com, at South Pattaya Road. The reason why a lot of people would like to buy a mobile phone there is that they can compare prices from different shop, and there are a lot of brands and models for them to choose from. In other words, new brand name mobiles, second hand ones, and grade A copied mobile phones are available inside. However, visitors should know that the very cheap ones should be aviod, since the quality would not be as good as the price. Mobile phone shops in Pattaya Tuk Com also offer repair services, regardless customers bought the mobile from their shop or not. So Tuk Com is seen as one stop services for mobile phone. Additionally, note that Tuk Com is the largest center for IT equipments as well.